A Bishop of the One, Holy, Apostolic Roman Catholic Church speaks manfully. 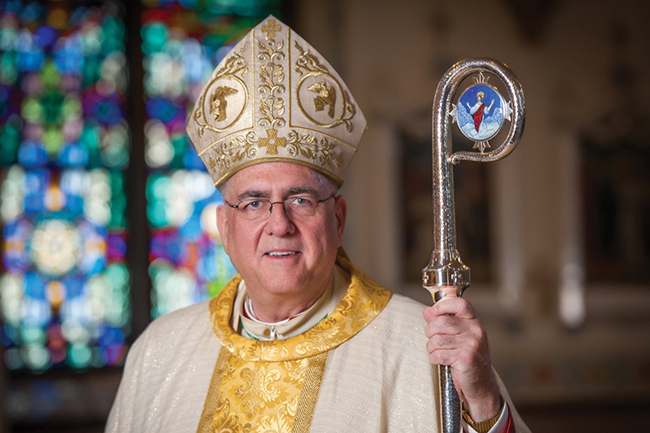 Archbishop Joseph Naumann of Kansas doesn’t mince any words in a new editorial he posted on the web site of the Catholic archdiocese he heads. He says Hillary Clinton’s running mate Time Kaine is just a “cafeteria Catholic” because he supports abortion. Naumann’s column is so eloquent nothing needs to be added to it.